This yummy meal is not only super fast to throw together it's tasty and friendly on the budget! 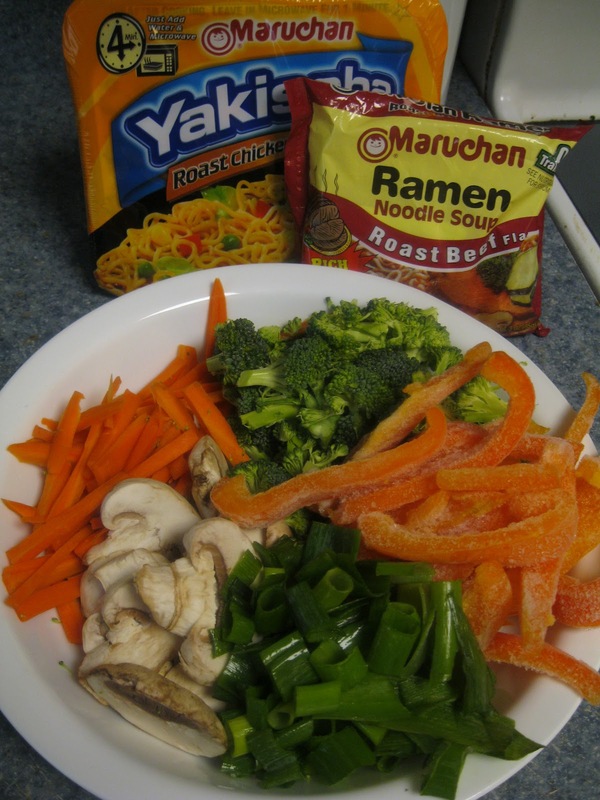 Using vegetables you have on hand in your fridge and some left over cooked chicken (rotisserie from the store is great here, or use your Chicken Master Mix), along with a package of Top Ramen noodles, you can pull dinner together in about 15 minutes! a big thanks to my cousin Donna for sharing this in our family cookbook! Cook Ramen noodles without using the flavor packets (set them aside till later) according to package instructions, drain all liquid and set aside till later. In skillet stir fry vegetables in a few tablespoons of oil (vegetable, sesame, peanut, etc) over medium heat stirring occasionally till vegetables are crisp tender (or desired level of tenderness). 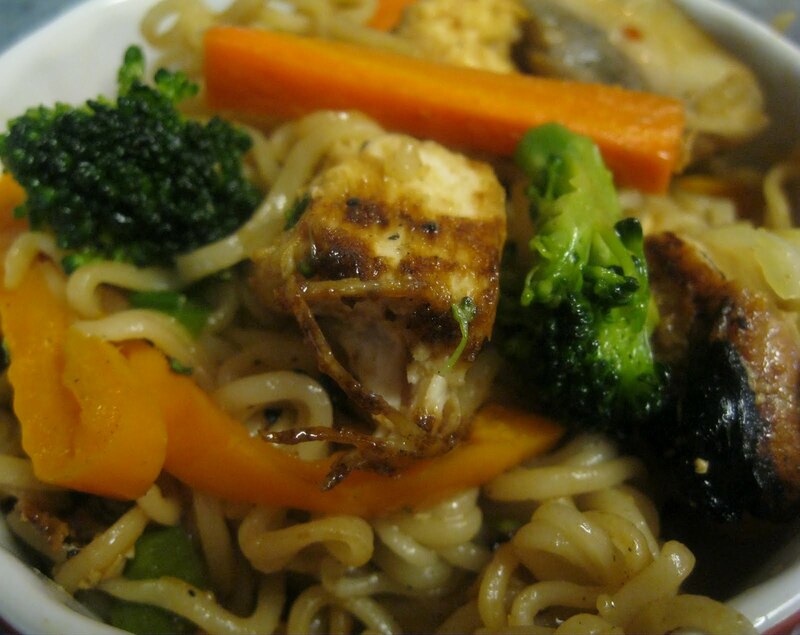 Stir in cooked noodles and cooked chicken. Stir in flavor packets along with any optional seasonings that suit your own taste, such as ginger, Chinese five spice, or even a little teriyaki sauce. I mixed in a pouch of Simpy Asia's General Tso's Sauce (it wasn't terribly spicy) and my family LOVED this dinner, making the following comments: " Can you make this a staple?" and "frickin' awesome"! Serve with some cooked rice if desired. Jan's Tips:Use as many packages of noodles as you think your family needs. Use whatever veggies you have on hand. be creative. Consider a can of bean sprouts or baby corns from the asian food aisle of your store. 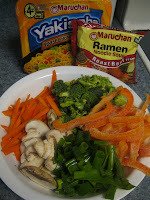 Consider using the reduced sodium noodles, to bump up the healthy a bit.